Beautykinguk: The five aftershaves I couldn’t be without! I’m fairly new to blogging about my beauty experiences. 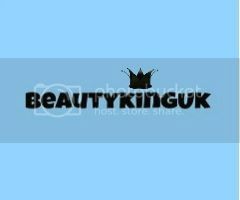 I only set up www.beautykinguk.co.uk in January. Today's post is a Guest Post I have written for Beautyqueenuk who asked me to guest for her. With the guidance that I could write about anything I wanted I put aside thoughts that made me grin wildly, things like ‘top 10 limericks’ and ‘top ten bars I’ve lost nights in’ and instead plumped for something close to my heart, well close to my skin – aftershave.